Yesterday, if you remember, I was a little red fox. I don’t remember if I said anything. 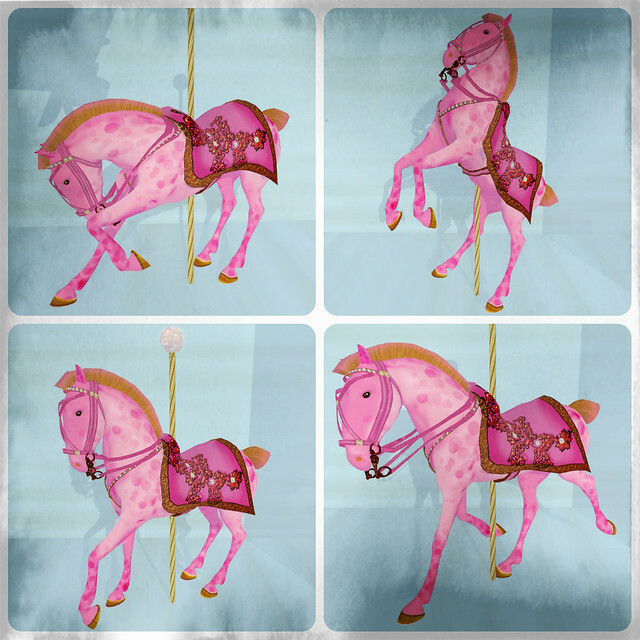 Today I’m a pink carousel horse, which is kind of totally ironic because I spent the whole day at Universal. I mean, IRL. (If it was possible to wear an SL avatar IRL, boy, wouldn’t life be different?) … So, GENRE’s round is all about furries. See all the furry-oriented offerings here at Seraphim!